Winter may give pool owners a bit of relief when it comes to swimming pool maintenance, but that doesn’t mean that pool cleaning should be completely forgotten. 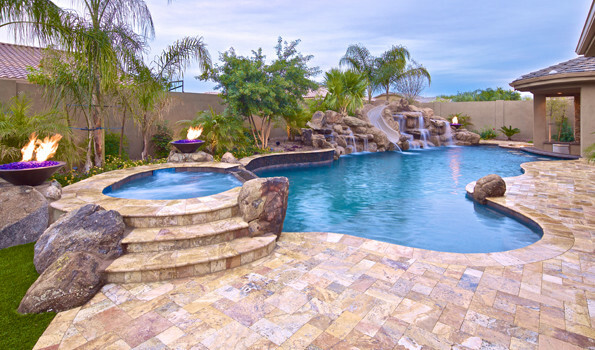 Some of our clients may opt to hire a pool service company to perform their pool maintenance. By learning to do it yourself, you can save hundreds of dollars per year. The following information will help keep your pool water healthy and clear year round. Use a water testing kit to check and maintain pH levels at 7.2 –7.6. Monitor and maintain chlorine levels at 1.0 – 3.0 ppm. Empty skimmer baskets, skim leaves, insects and other debris from pool source. Empty debris canister (if applicable) This will contain large debris from main drain circulation. Adjusts schedules for pump / circulation / *** times appropriately for the season. Always seek the advice of a pool professional, your local pool retailer, regarding any special or unusual problems.